BarkingWife Blog: Lights. Camera. ACTION! Nearly every day, at the end of the day, I find myself saying or thinking, “Wow, what a day” whether it was good, bad or a combination of the two. But today, I can really say it extra loud and with extra emotion. “WOW. 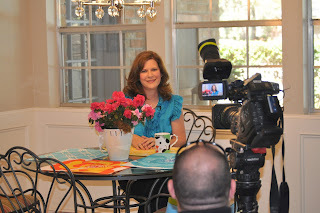 What a day!” Carolanne and I found out less than 24 hours in advance that KIAH, Channel 39 news here in Houston wanted to do a segment on www.BarkingWife.com. The first coherent thought that went through my excited brain after finding out was, “Thank God my hair was recently highlighted." And then the second thought was, “How can I lose 15 pounds in a day?” I know it sounds prima-donna-ish, but it’s the truth. Then my rational, confident side of my brain kicked into gear and over ruled those thoughts and said, “You are what you are. Be proud of it. Enjoy the moment." And that’s what I did. 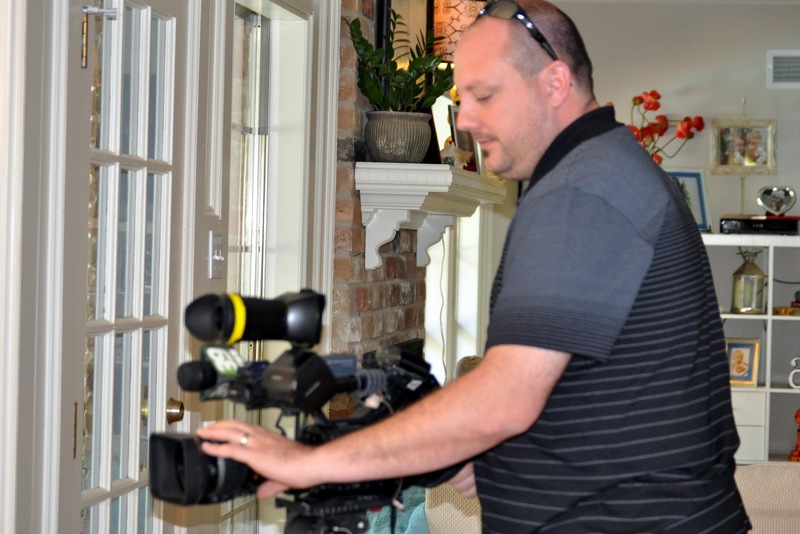 Scott Goldsmith with Channel 39 showed up at BarkingWife’s office (which used to be Carolanne’s dining room in her home) and made us feel at ease right away. Within twenty minutes, the camera was rolling. As much as I wanted him to shout out, “Lights. Camera. Action!” He didn’t. That probably would have freaked us out anyway – or made us giggle to the point where we couldn’t stop. I have to admit, I was nervous. I was so hoping that the words would come out of my mouth the right way and that I could communicate how much I love our business. Thank heavens it was not a live broadcast. So really, mistakes were forgivable and could be edited out. That took some of the pressure off. 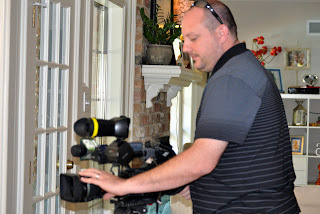 But there is just something about having a TV camera three feet in front of your face that makes you work hard to keep the nerves where they are hopefully undetectable. Looking into the camera made me feel like I was looking into a gateway they held limitless possibilities and promise for www.BarkingWife.com. So, when does it air??? I want to know. Our BarkingWife fans want to know. And most importantly, my mom wants to know. Scott said it would air in about 2 weeks. So that would mean around March 25th. We will let you know as soon as we find out. It was so much fun! Holly, I love your blog post. You captured the moment perfectly! What a great opportunity for both of you, Carolanne and Holly! Wish I was there to see the spot air on channel 39....maybe there will be a link I can see after it airs...let me know! !